On joint initiative of the Human Rights Centre of the University of Padua, of the UNESCO Chair "Human Rights, Democracy and Peace" of the same University and of the National Coordinating Body of Local Authorities for Peace and Human Rights, 100 Municipal Councils of big and small Italian cities - from Sondrio to Ragusa, from Rovereto to Crotone, from Reggio Emilia to Naples, from Ferentino (Frosinone) to Noci (Bari), from Este (Padua) to Ponte San Nicolò (Padua) - have so far adopted a petitionary motion for the international recognition of the human right to peace. Also the Regional Council of Veneto has approved the same petitionary motion. The initiative aims to support the work of the Intergovernmental Group of the UN Human Rights Council that is currently involved in discussing the draft of the United Nations Declaration on the Right to Peace. 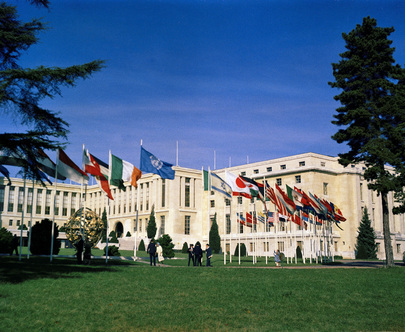 The Italian Municipalities are showing a direct interest in the debate currently taking place in Geneva due also to the fact that most of their Statutes include a norm which, referring at the same time to the Italian Constitution and to the International Human Rights Law, recognises peace as a fundamental right of individuals and people (the so called “peace and human rights” norm): this situation is still a unique case in the world. In this sense, the Italian sub-national legislation is preceding the formal process of international legal positivisation on the subject. Strengthened by this original legitimation, which has also a symbolic impact, and referring to Article 1 of the “United Nations Declaration on the Right and Responsibility of Individuals, Groups and Organs of Society to promote and protect Universally Recognized Human Rights and Fundamental Freedoms”, a delegation of Mayors representing the City Councils that have adopted the above-mentioned petitionary motion will be in Geneva, at the Palais des Nations on Monday 23 June, in order to deliver a copy of the Councils’ deliberations to Ambassador Christian Guillermet, President of the intergovernmental Human Rights Council Working Group, to Ambassador Maurizio Enrico Serra, Permanent Representative of Italy to the United Nations, to the Representative of the United Nations High Commissioner for Human Rights, and to H.E. Mons. Silvano M. Tomasi, Permanent Observer of the Holy See to the United Nations. The initiative joins the International Campaign for the recognition of the human right to peace, promoted by the Human Rights Centre and the UNESCO Chair "Human Rights, Democracy and Peace" of the University of Padua, by the Franciscan Order of the Sacro Convento di San Francesco di Assisi, by the National Coordinating Body of Local Authorities for Peace and Human Rights, the Peace Roundtable (Tavola della Pace) and the Peace Network PerugiaAssisi.